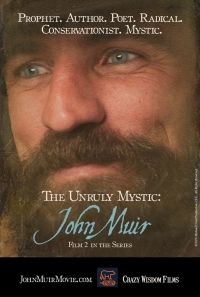 The Unruly Mystic: John Muir is 70 minutes long. Director Michael M. Conti will be in attendance for a short Q & A after the film, and will be joined by producer Heather Boyle. Tickets are: $12 Adult, $10 Senior (65 & over), $8 Child and/or Student (17 & under) available online and in person at Auburn State Theatre one hour prior to show time at the theatre's box office, 3 PM. This event has been viewed 480 times.